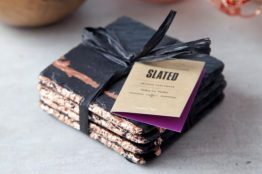 The Slated Slate and Wood Small Sharing Platter is homeware design at it’s best. Combining two very distinctive materials that complement each other beautifully this piece really has the wow factor. This gorgeous platter is ideal for sharing just about anything you can think of with your guests, we’ve used our to serve everything from pate to tapas . Refined and elegant this piece will bring a touch of luxury to any home. All our slate pieces are cut by hand with a 150 year old slaters knife by Ed Hammond in our Dublin studio meaning each piece is completely unique. 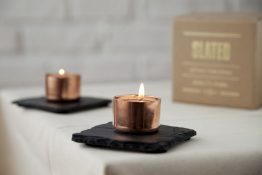 Our beautiful natural slate pieces all have their own individually textured surface being uniquely ridged or veined and are backed with felt feet to prevent slippage. 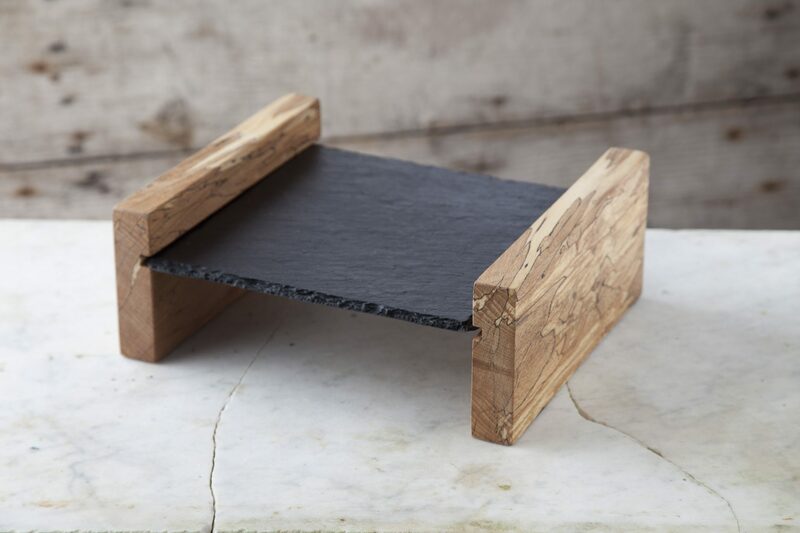 Just as all our slate pieces are cut by hand our wooden pieces are handcrafted in Ireland by some of the country’s finest craftsmen. All our gorgeous beech pieces all have their own individual texture and pattern meaning no two pieces are alike and each piece is completely unique. 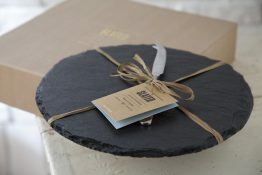 Slate and Wood Small Sharing Platter. 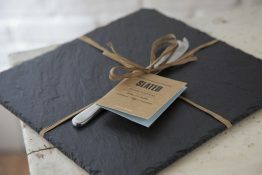 Hand cut natural slate board.